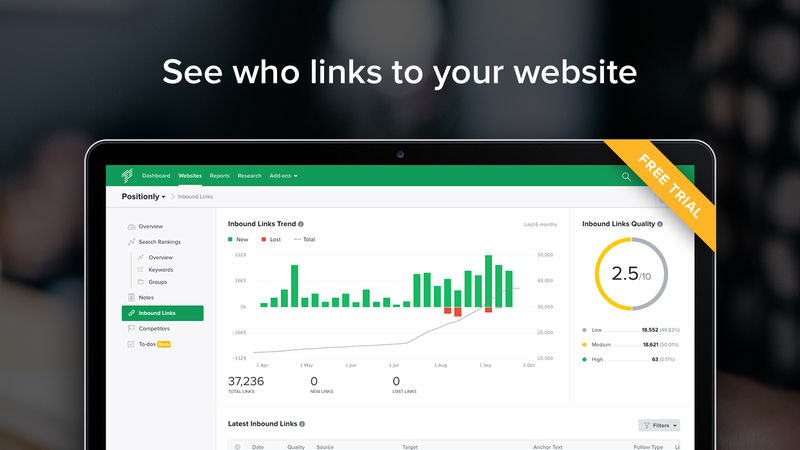 Positionly is a cloud-based software that simplifies day-to-day SEO activities. 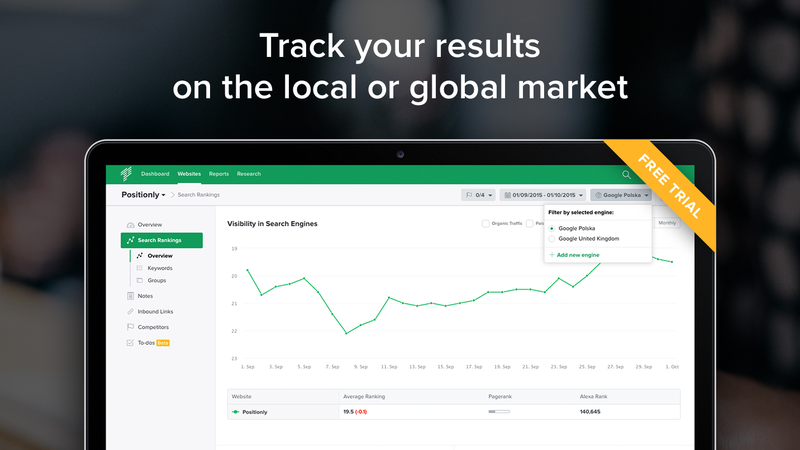 We take pro-level SEO tracking tools and apply them to a refreshingly simple and usable interface. 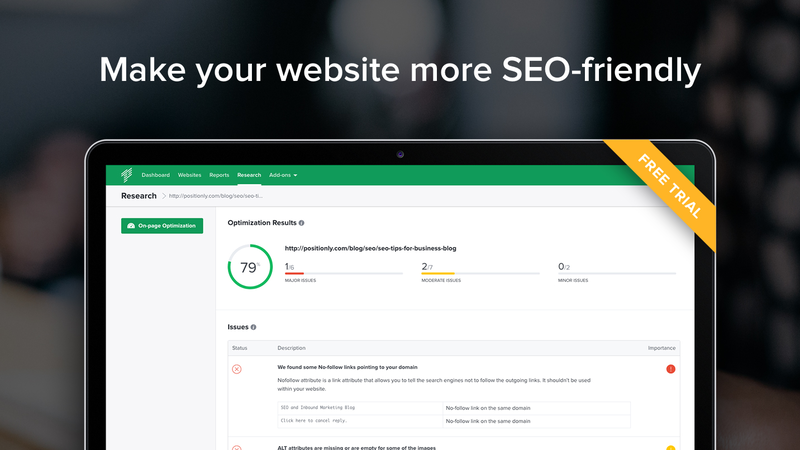 Improve your website’s Search Engine Optimization by adding our easy-to-use App. Start your 14-Day Free Trial today! After your free trial, plans range from $15 to $499 depending on the features you desire. View our Pricing page for more details. 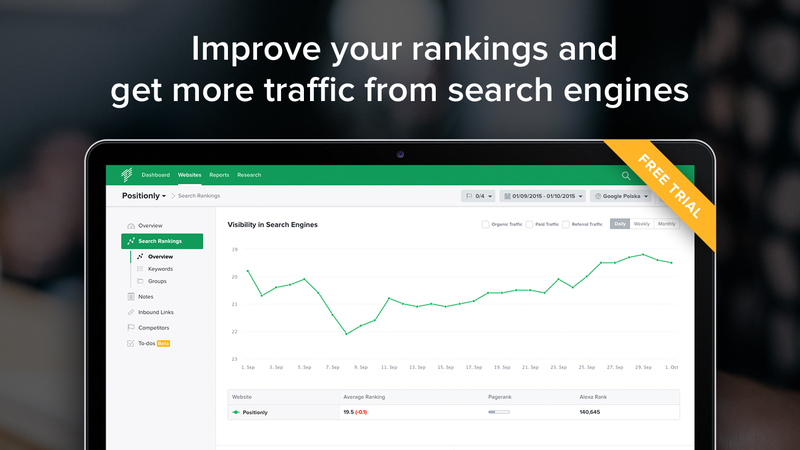 A key to the SEO WORLD ... Great app - love it ! One of the most irrelevant, inaccurate and general SEO tools I've seen. Virtually all of Positionly's suggested competitors were not competitors at all, and included Google itself and a government. Positionly seems oblivious to what results actually come up in Google. 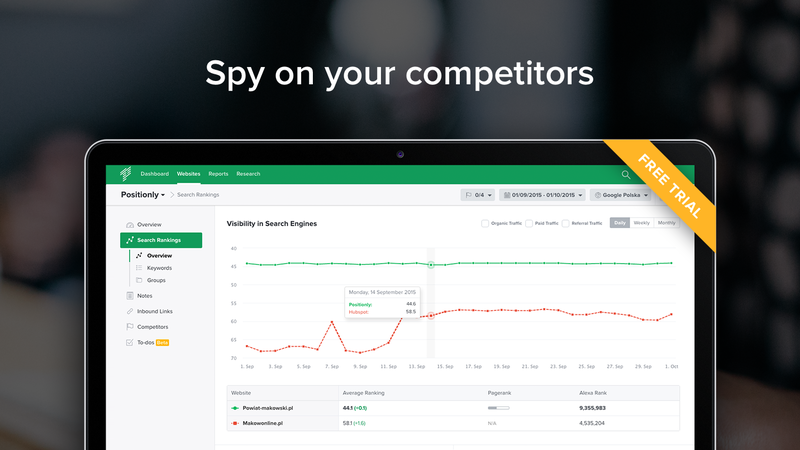 Identifying competitors works much more accurately by doing a simple Google search. A different competitor list is needed, yet to get that you need different search terms, which is simply wrong. Given that positionly is clueless about competitors, why should its keyword competition assessments be trusted? It's an ok app for showing your website's position relative to your competitors. But I was mainly interested in the site's ability to suggest tasks for improving your site, and I found the suggested tasks generic (i.e. they weren't related to my site at all; just good suggestions for any website). For example, many of the tasks that were recommended were things I had already done. I gave it a try and love it! UX design is one of the best I've seen. The feature evaluating the optimisation and showing what needs to be improved is very useful.